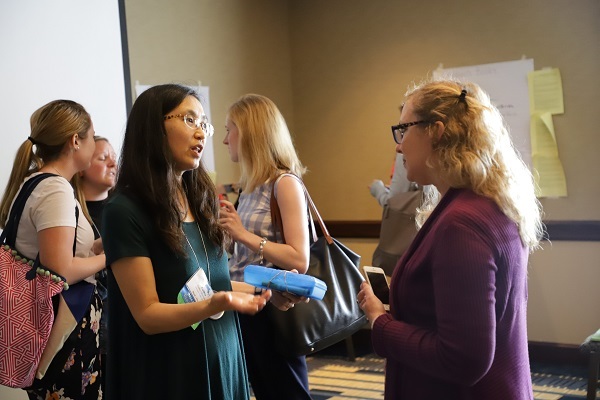 Topics: See the 2018 Networking Session list for some ideas, but we welcome other topics and formats that encourage connection between members, discussion, and sharing. Materials: MATSOL can supply materials such as chart paper, note cards, post-it notes, and pens for use during your session upon request. Proposals Due: Proposals were due on March 18 but we will continue to consider new proposals on a rolling basis through April or until the session slots are filled. Since one of the purposes of this session is to connect and share ideas with other members around areas of common interest, what opportunities might you be interested in to extend the conversation after the conference? (Optional) Examples: Create an elist, start a new SIG, connect with another SIG, follow up online or face to face meetings, publish a list of resources, etc.